Welcome to Celestial Child Comic! I am currently working on a digital comic that will be published online as a web-series. "Celestial Child" is a coming of age story about a young Elemental mage with magical abilities. Celeste Sidman struggles to keep her magic a secret in a technologically advanced world, where magic is outlawed. This comic is currently in production; I am developing the world, backgrounds and characters while drawing the pages simultaneously. As a Patreon, you will be supporting the creation of this comic. You can read the comic for free on Tapas and Webtoons , if you enjoy it then consider becoming a Patreon of Celestial Child. At the moment the character, environment and scene development art will be exclusively available on Patreon. 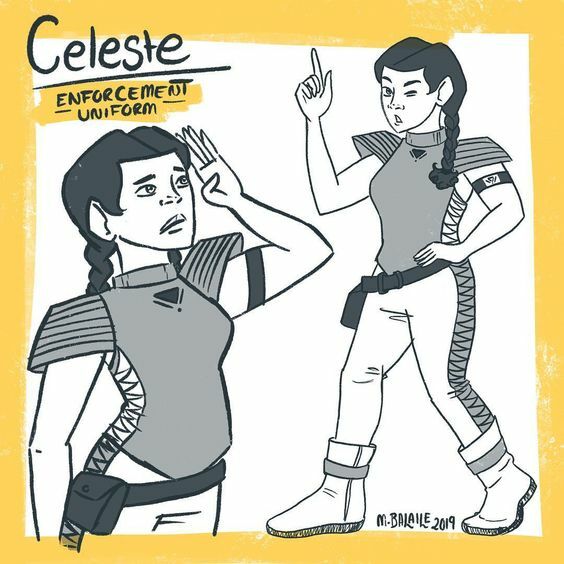 I will also be sharing character sheets and world building info with my Patreons. These are pieces of fun facts, lore and descriptive art that expands on the fictional world I have created. On the right hand side are the rewards that different tiers of Patreons have access to. Hit the bright orange button at the top to become a Patreon! This is for you you if you want to support the comic and get updates. Access to a private Discord server where you can chat with me and ask me your Celestial Child and comic making questions. Illustrated zine To celebrate, I will be create an illustrated zine that you can download. The zine will be filled with illustrations of a theme that my Patreons get to vote on!